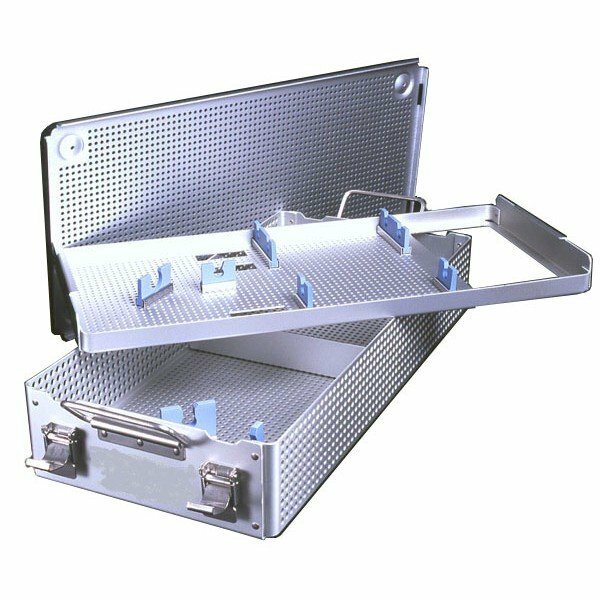 Sterilization Instrument Tray for Scopes. Two levels, with brackets. Compartments for light cord and camera. External size: 9" x 20" x 4"